It's time to celebrate Toxie's "Tro-matic" "Troma-riffic" 30th anniversary in HD. FAN-TOXIC! Lovingly recreated, digitally remastered in head-crushing, arm-ripping, mop-wielding High Definition! 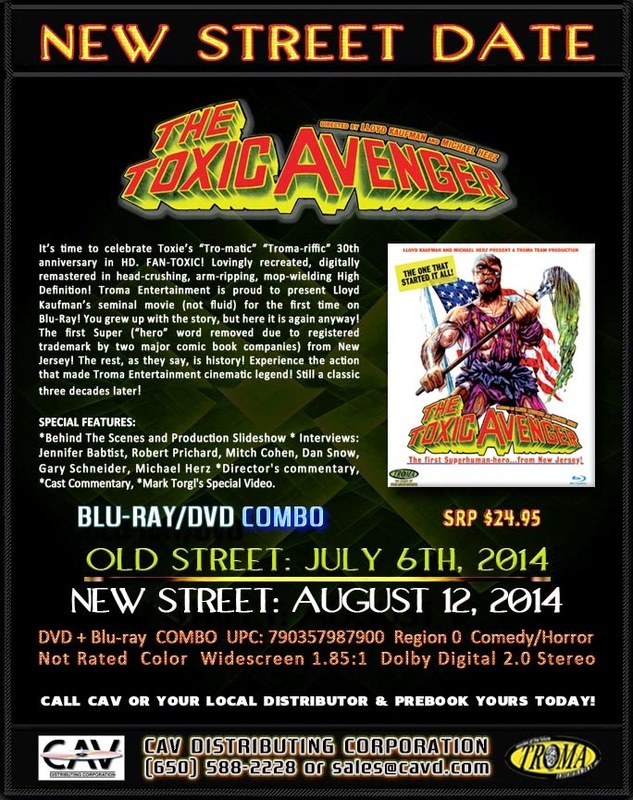 Troma Entertainment is proud to present Lloyd Kaufman's seminal movie (not fluid) for the first time on Blu-Ray! You grew up with the story, but here it is again anyway! The first Super ("hero" word removed due to registered trademark by two major comic book companies) from New Jersey! The rest, as they say, is history! Experience the action that made Troma Entertainment cinematic legend! Still a classic three decades later! BLOODSUCKING FREAKS has earned a world-wide reputation as being a film unlike anything ever seen before in the history of the cinema. It has been held over in certain theatres across the U.S. for over a full year! BLOODSUCKING FREAKS takes you to a bizarre Off-Broardway theatre of the macabre, operated by a deranged impresario. Inside, sadistic entertainments are staged for his audience's pleasure, including tortures, dismemberments, and other gruesome acts which appear to be faked. When people begin disappearing off the streets of Manhattan, the twisted truth begins to chillingly sink in: these horrifying bloodcurdling acts are not theatrical at all. They are real! You'll be GROSSED OUT by the unique mélange of humor and horror as the impresario's horde of beautiful teenage girls, who are kept in cages and perform on command, take over the show and devise a nasty game of their own! You'll SCREAM YOUR HEAD OFF as the fun climaxes in one of the most unforgettable scenes in movie history!